This online version of Holistic Nutritionist, Jen Casey's, gut-healing protocol is now available! Included is a step-by-step guide to healing your gut, holistically foods to avoid and foods to include 3 day sample meal plan 13 nourishing, gut-healing, nutritionist-approved recipes (all free from gluten, dairy and refined sugar) All in a downloadable, printable pdf format, or save it to your computer to have always. If you have been suffering from IBS, bloating, cramping, skin issues, brain fog, sugar cravings...then it might be time for 4-6 weeks of holistic gut healing. 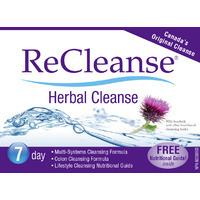 Try the 100% natural, cruetly-free line of skin care created by Jen Casey, Holistic Nutritionist at Next Bite Nutrition. She developed the line for her babies when there was nothing natural enough in stores. With a background in MakeUp artistry, Jen set out to find an alternative and ended up making her own products. Dimpleskins Naturals is manufactured by hand in BC and distributed across Canada. 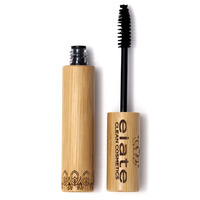 ​Elate Clean Cosmetics Essential Mascara is gentle enough for the most sensitive eyes, gluten free, clean and water resistant. The 'teddy bear' brush makes application a breeze and gives full, and longer lashes. Reduce your toxic load, eliminate chemicals from your daily life, and have fun doing it! On average, a woman uses 12 beauty products each day and many contain chemicals that can be avoided. The recipes in this book were created by a Holistic Nutritionist, using easy ingredients found in your pantry. Her recipes have been featured on TV, in the Wall Street Journal, and published online. In this ebook, you will learn how to create a dreamy night cream, herbal bath bombs, a face serum and more. This vitalizing facial mist is a very effective and innovative way to infuse your skin with skin-balancing actives and perfect hydration. 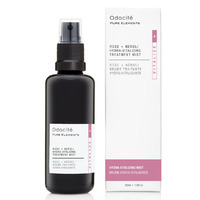 Each micro-drop of this divinely scented mist is formulated to revitalize combination, normal or sensitive skin and restore a fresh, balanced complexion. Rose water is known for its sebum-balancing properties. Fresh Aloe Vera juice works at keeping skin moist and protected from environmental aggressors. Aspen Bark’s potent astringent properties help to minimize pores, working in synergy with Neroli to help banish blemishes and regenerate skin’s well-being. 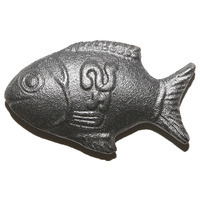 The Lucky Iron Fish is made by a Canadian company dedicated to solving iron deficiency and anemia. The Fish is made of a specially formulated iron, meant to be used with cooking to help add more iron to your food and increase your body's circulating iron stores. If your energy is low, you have been diagnosed with iron deficient anemia, or your dietDNA test shows you are genetically set up to not absorb iron well, you might want to consider adding this tool in your cooking.